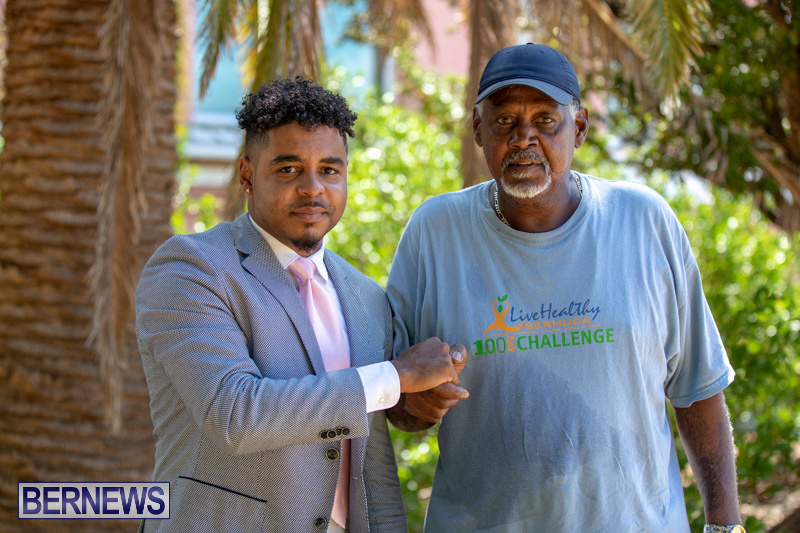 [Written by Generation Next’s Eron Hill] This past week, I was blessed with the opportunity to sit down with Bermuda’s only Olympic medalist, Mr. Clarence Hill. At the 1976 Olympic games in Montreal, Canada, Mr. Hill successfully fought his way to the winner’s podium, having earned a bronze medal in boxing. This heavyweight champion of Bermuda did not have an unscathed path to success, however, and in this interview, he describes the precipitous decline that he endured as a result of circumstances, that realistically, can befall any one of us. Mr. Hill provides simple yet profound practical advice to the people of Bermuda generally, and young Bermudians specifically, on how to avoid some of the trials that he has had to endure. Mr. Hill expressed his desire to write a book on his life called ‘My Fight For Life’. I would encourage all who are inspired by Mr. Clarence Hill to get in touch with him and learn more about his story. There can be no doubt that after you listen to this interview, you will see that Bermuda’s only Olympic medallist is bold and direct, relatable and real; his life’s journey is a treasure trove of lessons and it is my hope and prayer that this Bermudian legend’s story will serve as inspiration to others and assist them in unlocking their full potential. Clarence Hill can be contacted by telephone on 703-1272 and I would encourage anyone interested in learning more about this Bermudian icon’s journey to get in touch with him. I join the rest of Bermuda in looking forward to the day that this Bermudian legend will see the opening of a boxing centre, named in his honour, as was announced in 2017. The greatest athlete, in Bermuda, is Clarence Hill. For many who did not know, he captured and earned a BRONZE MEDAL in the Olympics years ago.! Maybe you could remind all those who did not know , exactly how it transpired ? I can remember two occasions where he was “bold and direct”. Yeah we can all read lmfao…. wow he still the only one. We’ve come close a couple times over the years. Brian Wellman finished 5th a few Olympiads ago in triple jump. So who knows. It’s no easy feat being among the best in the world at a sporting discipline. And the reason Peter had to be happy with 4th was because he and the guys who won the gold, silver and bronze all passed their drug tests. you talking about Eron right? He would always be CHAMP. IF Flory Duffy can be given a MBE for competing in Triathalons then why can’t Clarence Hill be gifen a MBE for competing in the Olympics and bring home a Bronze Medal. He is the only Olympiad we have had to being home a medal.